Ah, the Olympics: the thrill of victory, the agony of defeat- the rooting for the home team while on the couch. The Summer and Winter Olympic events convey the utmost in agility, speed, skill and sportsmanship, whether it’s figure skating, gymnastics, skiing, swimming or… tug of war? most noteworthy and dumbest Olympic sports ever played. who had a trampoline in their yard? If you were one of those kids, you may have ended up as an Olympic Trampolining master. In fairness, it sounds nerve-racking to fly through the air doing acrobatic stunts and then try to miss the metal part on the way down. This one is still an Olympic event! 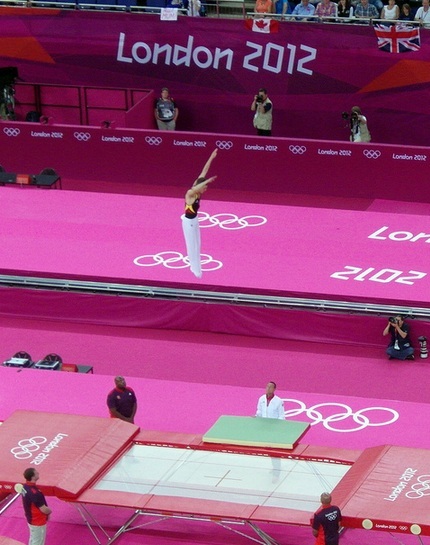 Olympic Trampolining is one of the weirdest Olympic events. Am I the only person surprised that this glorious event only happened at the weirdo 1900 Paris Olympics? My guess as to why this event was discontinued may have had something to do with not being able to hire someone to clean up afterward. 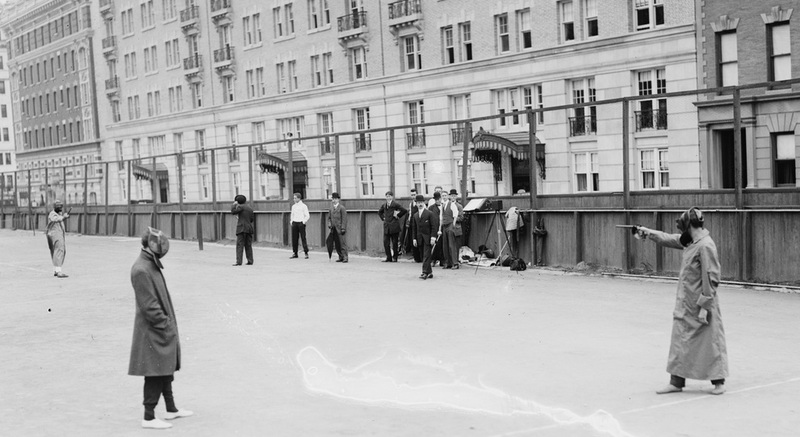 players using wax bullets to try to shoot each other in the face. 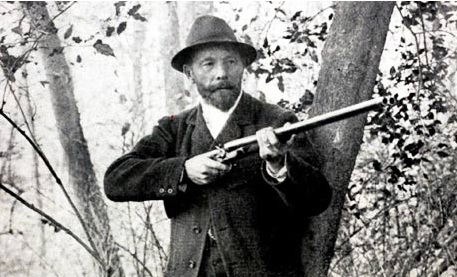 Later Titanic survivor Sir Cosmo Duff Gordon was a famous participant in the event. Maybe this is how we should have heads of state settle international affairs! 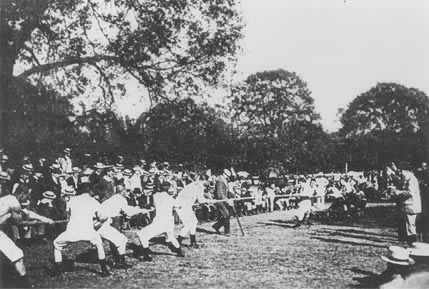 sport was actually included as an event several times – in 1928, 1932, 1936 and 1948. Charles Downing Lay won the 1936 Silver for Marine Park, a historical park in the Jamaica Bay area of Brooklyn, NYC. Gold medal goes to the guy who remembers to include cleaner public toilets at subway stations. Posted in France, Inspiration and tagged with France, Olympics, Paris. RSS 2.0 feed. Town planning… are you joking?! One of my good friends is actually a trampolining coach and a few times he’s let me jump on the pro trampolines… sooooo much fun. Haha that’s epic. I’d love to jump on one of those pro trampolines!